Ukrainian Orthodox Church of the USA - Wheelchairs in “Santa Barbara”! On Sept 18, 2010, a team of dedicated individuals met in a little hotel in a suburb of L’viv, locally known as “Santa Barbara”. They had come to distribute wheelchairs to children with cerebral palsy (CP) and disabled adults using the facilities of the nearby Rehabilitation Center, Dzherelo (the Source). This was the culmination of months of work for Wheels for Humanity (a part of United Cerebral Palsy) President David Richard, whose organization collects and refurbishes used wheelchairs, Dmytro Cyhaniuk (wheelchair technician and California Association to Aid Ukraine representative), and two CAAU members, Yarko Maryniuk and Paul Micevych. Joining the team was a longstanding WfH volunteer Christopher McAdam (wheelchair specialist and Physical Therapist). The plan was to spend a week (September 20 - 24) custom fitting wheelchairs for needy CP children identified by our Ukrainian partners, Mrs. Lida Kovalska and Mrs. Svitlana Kuka from the Regional Fund "In the Name of Christ the Savior" (VIHS) located in Striy. Two months earlier, a container filled with 180 wheelchairs, walkers, crutches and bedside commodes had left the Port of Los Angeles. It arrived in Odessa on September 9 with all the necessary paperwork and approvals in place. But at the last minute, Ukrainian customs would not release the container. Finally, due to the efforts of a great many people including the director and one of the founders of Dzherelo, Myroslav Nykolayev and Oksana Kunanec, deputies of the Verkhovna Rada, Mr. Pisarchuk and Mr. Sushkevych, friends at Ukraine 3000 and the American Embassy - the container was released on Wednesday and slowly made it’s way to L’viv arriving at 7:00 p.m. on Thursday. A large number of kindhearted volunteers helped unpack the container and prepare for distribution the next morning. Working intensely during our remaining time, we managed to deliver almost all the wheelchairs to recipients or hospitals. None of this could have happened without the incredible organizational skills of the VIHS volunteers (our "in-country" partners), who had to cancel and reschedule more than 100 wheelchair recipients' appointments. Among those that we had the good fortune to help was the Korshiv heriatrychnyj pansionat. 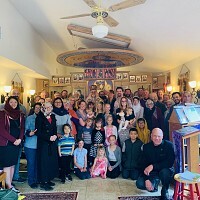 Due to the intercession of Bishop Daniel of the Western Eparchy of the Ukrainian Orthodox Church of the USA, CAAU reserved ten wheelchairs for the pansionat. The Director Mykhailo Dmetrovych Ivanochko, and several volunteers drove to “Santa Barbara” and we loaded their van with adult wheelchairs, walkers and crutches. Dr. Ivanochko was very appreciative. 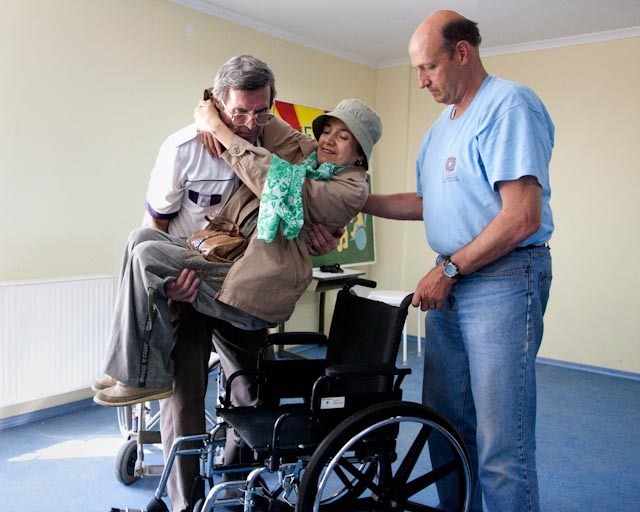 The work of CAAU to provide wheelchairs for Ukraine goes on. We ask you to support this worthy cause. For $75 you can sponsor a wheelchair that will change the lives of needy children and individuals in Ukraine. If you would like to know more about CAAU, our various programs - please go to http://caaukraine.org. 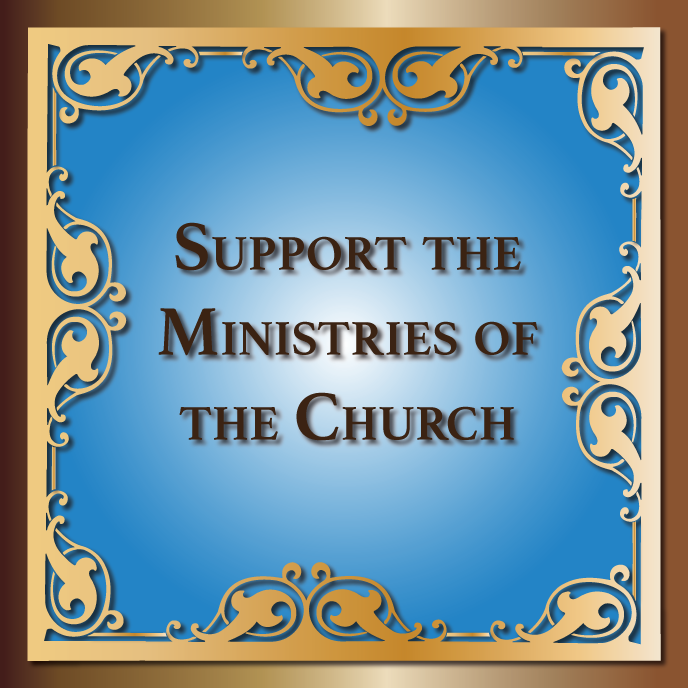 We’ll be grateful for your support and the needy in Ukraine will bless your generosity! Ukrainian American Talent Show – Huge Success! OCF Opens College Conference Registration!